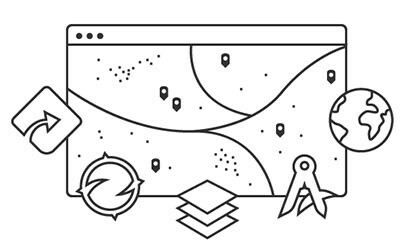 Esri has built ArcGIS as an open platform because we believe that our users should be able to innovate using reliable technology that keeps up with the needs of modern organizations. As a result of our commitment to creating an open and interoperable platform, anyone can use ArcGIS to discover, share, and integrate data. Interoperability—Our open platform approach enables broad interoperability. ArcGIS supports industry and community standards, libraries in every major programming language, integration with common analysis and data management tools, and a growing repository of open-source software. Innovation—ArcGIS encourages an environment for innovation where everyone can share their unique ideas with the community. You can use, modify, contribute to, and customize any of our open-source projects, including desktop, web, and mobile applications. Collaboration—ArcGIS is designed to foster collaboration within and across organizations. 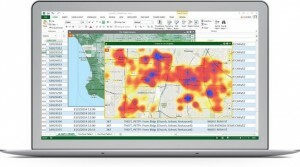 You can easily share your data and maps to encourage teamwork and improve decision making. Esri is also active in the geospatial community, sharing information and updates on Twitter and GeoNet as well as in person at customer sites, Esri-hosted events, or any of the hundreds of conferences Esri attends every year. Esri has a long-held commitment to standards and interoperability. We have designed ArcGIS to conform to more than 100 established standards including data formats, metadata, and services. 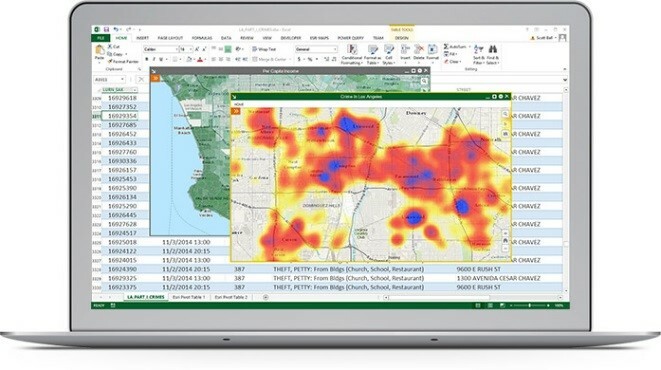 This broad standards support allows users to incorporate GIS into any application in a variety of web, mobile, and computing scenarios. ArcGIS supports more than 300 data formats, including formats that are established standards as well as other widely used formats. This broad interoperability lets users store and access data in the formats they already use. Many organizations need to make their data open and available to the public to meet mandated transparency requirements and solicit community contributions and feedback. Esri offers options that allow these organizations to use ArcGIS to share and work with open data. This includes discovering, accessing, and publishing open data, including the OpenStreetMap. Esri provides open APIs and specifications that allow various GIS and non-GIS systems to communicate with the ArcGIS platform. These technologies let you incorporate geospatial content and capabilities—accessible through web services, databases, and common formats—in a wide range of applications. Esri’s development staff regularly work on and share open-source projects that allow you to build on existing source code. ArcGIS was built leveraging open source. We have also released more than 350 (and counting) of our own projects on GitHub including applications, tools, and resources that let you customize and enhance your GIS. You can collaborate with us on these projects by submitting edits and contributions, or use the existing code to support your own solutions. At Esri, we see tremendous value in our user community—millions of smart, passionate people around the world, working every day to solve important problems. 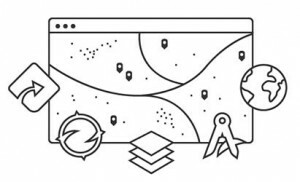 We actively sponsor, promote, and pursue opportunities to engage our users so we can come together to share ideas, best practices, and code. 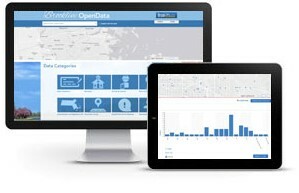 See Esri’s Open Vision and learn how you can get involved at www.esri.com/open.